Autumn is one of the nicest times in this garden. Join us on October 7 for a horticulture tour, October 14 for the President’s tour, October 21 for a history tour or October 28 for a history tour. All the tours are appropriate for all audiences. Tours start at 2 pm and last 90 minutes. No reservations are needed. Tours are $10 except the President’s tour which is $25. Children 12 and under are free. We meet behind the Community Center near the 945 North Broadway parking lot. Wear sturdy closed toe shoes and bring water. Strollers are not advised. 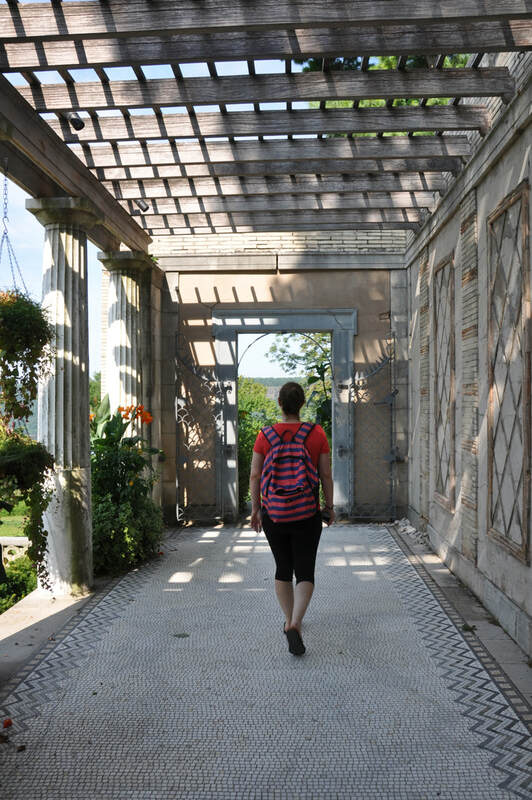 History tour: We’ll highlight the history of the estate from its origin in 1862, through each of its three owners, emphasizing its world famous heyday in the Untermyer years, its dramatic decline after 1940, and the remarkable restoration efforts that have been ongoing since 2011. 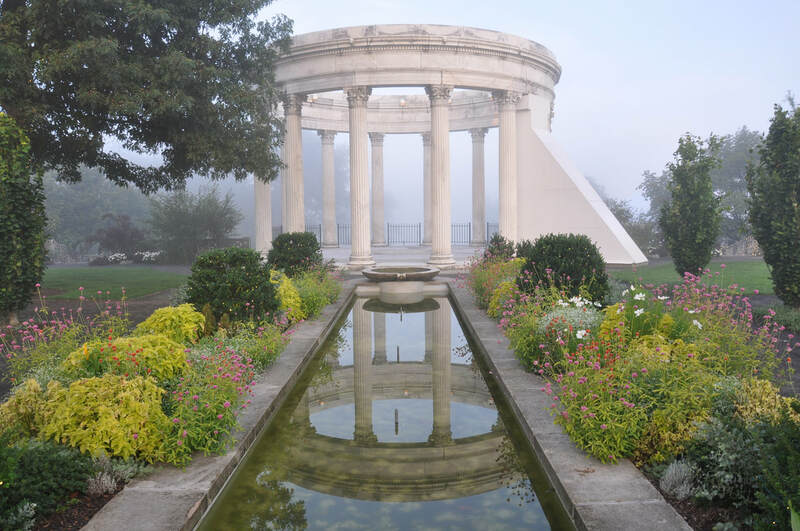 We’ll discuss Samuel Untermyer and his wife and their place in early 20th century history as well as discussing the remarkable architecture of the gardens. There will be some limited discussion of the horticulture but the magnificent plantings will mostly speak for themselves. 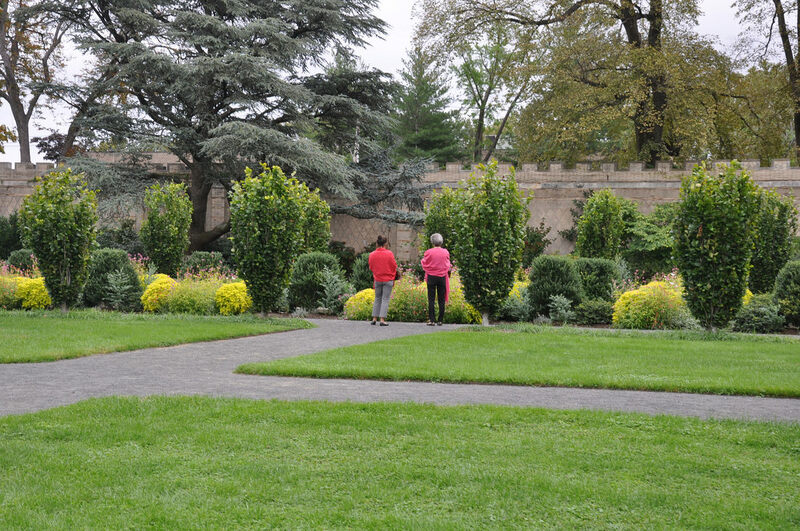 Horticulture tour: This tour covers the history in somewhat less detail, but includes discussion of the architecture, elements of garden design in general and of this garden in particular, and identification and discussion of numerous plants and plant combinations. 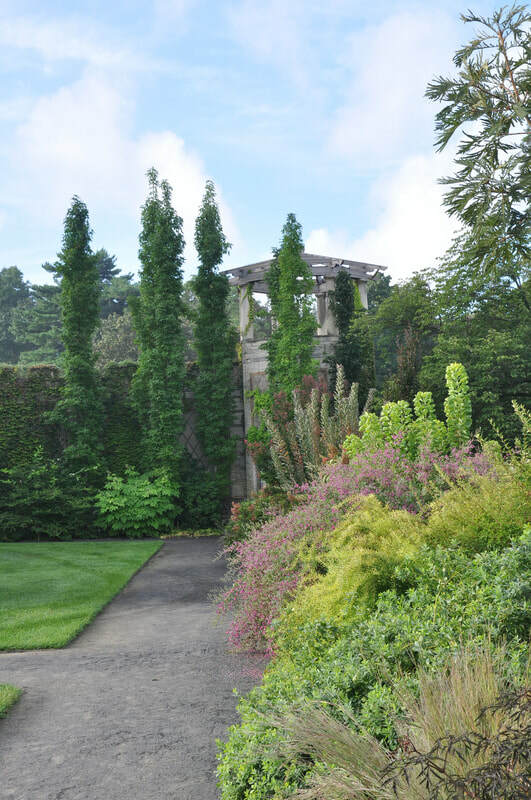 President's tour: Stephen F. Byrns, who is an architect and the founder and President of the Untermyer Gardens Conservancy leads this monthly tour. 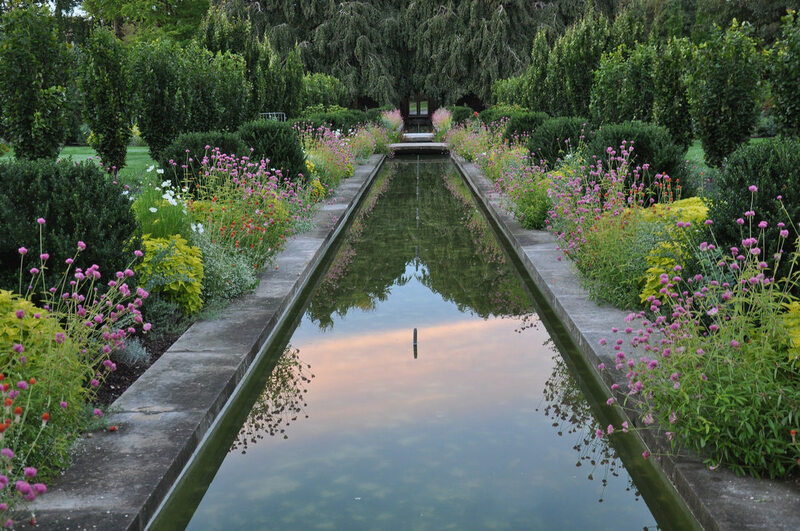 He is a fount of in depth knowledge on the history of the property, on Samuel Untermyer and his historical milieu, on the architecture, especially the Indo-Persian Walled Garden and on his vision for the future of this Landmark restoration. 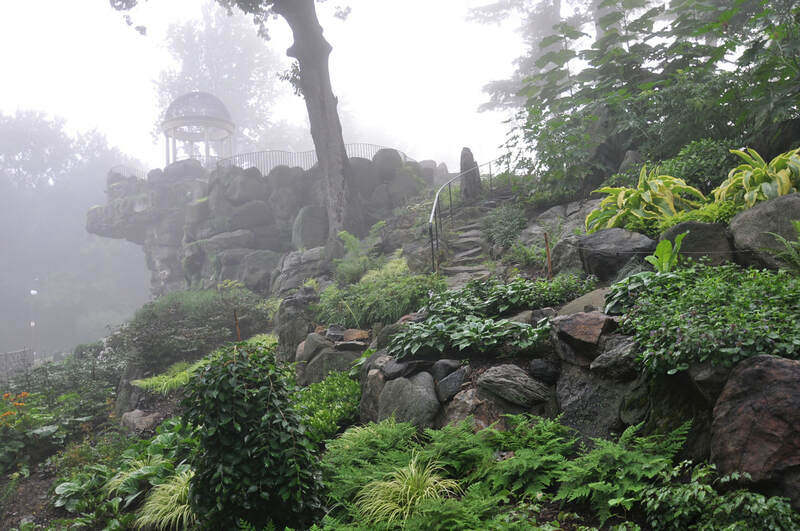 Take the Hudson Line to Greystone Station. Exit the station and walk along the short road which leads to Warburton Avenue, bearing right (south). Continue about a third of a mile until you see iron gates on the left. Go through the gates, walk up the carriage trail, cross the Old Croton Aqueduct and pass through inner gates into the garden. From there, either go right up a long carriage trail, or up the stairs, around the ruined gate house, and up a path to the lower gardens. You can also call a taxi or book an Uber from the Greystone station to 945 North Broadway. Visit our website for more travel information.